Erasmus+ is the EU’s programme to support education, training, youth and sport in Europe. Its budget of €14.7 billion will provide opportunities for over 4 million Europeans to study, train, and gain experience abroad. Set to last until 2020, Erasmus+ doesn’t just have opportunities for students. Merging seven prior programmes, it has opportunities for a wide variety of individuals and organisations. The aim of Erasmus+ is to contribute to the Europe 2020 strategy for growth, jobs, social equity and inclusion, as well as the aims of ET2020, the EU’s strategic framework for education and training. Erasmus+ also aims to promote the sustainable development of its partners in the field of higher education, and contribute to achieving the objectives of the EU Youth Strategy. 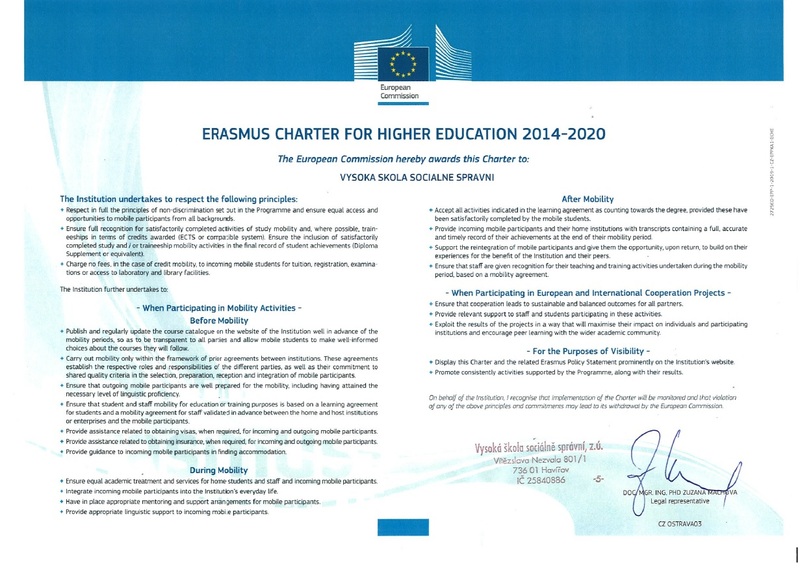 University of Social and Administrative Affairs holds the Erasmus Charter for Higher Education.